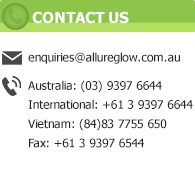 Allureglow® distribute a range of specialist glow in the dark material and fabrics. Customised products clothing lines and garments can be produced. Also included in the fabric range is a fire retardant 50mmm wide Nomex coated glow in the dark tape for incorporation into garments ie vests, pants, overalls, bomber jackets, embroidery, hats, work boots and shirts. 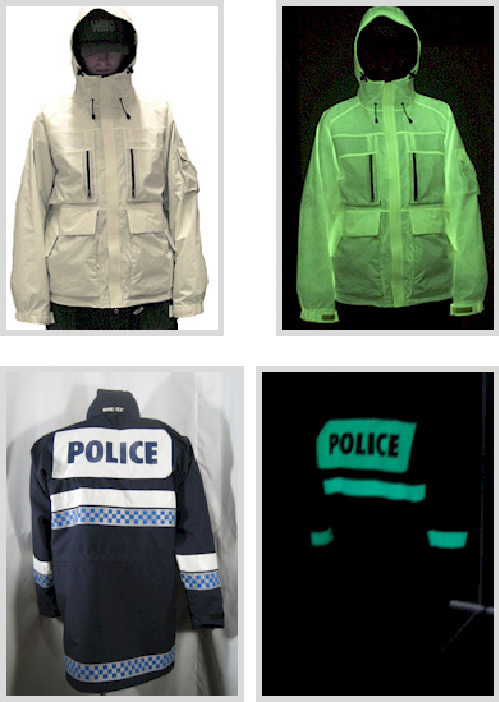 AllureGlow® can produce and incorporate glow fabric into flame resistant garments for emergency service workers and fire fighting organisations. 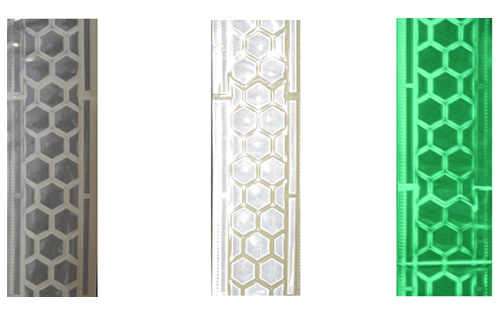 Photoluminescent / reflective tape is manufactured for garments including safety apparel and for safety signs or marking applications.